From 1991: The fourth issue of EPI-LOG magazine, with a loose action/ adventure theme running through the contents. 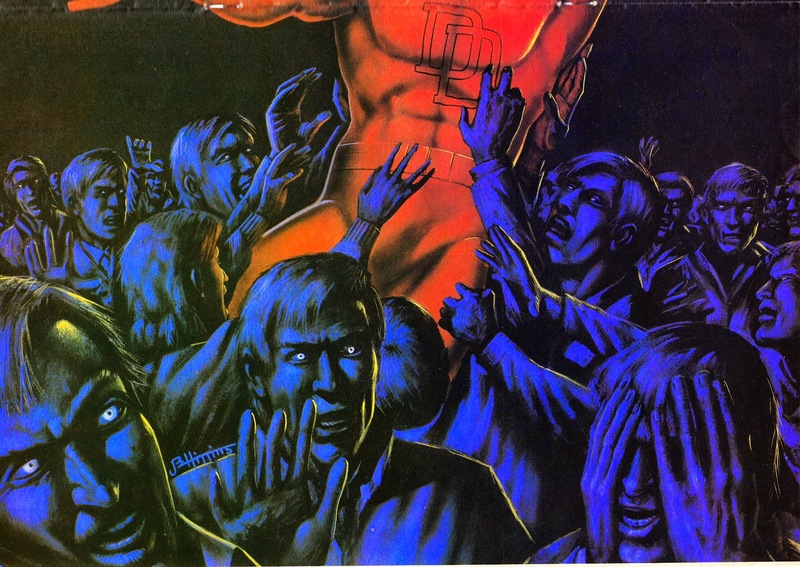 From 1982: The striking cover art of MARVEL UK's DAREDEVIL SPECIAL, reworked as a centre-page poster for SPIDER-MAN issue 507 (cover-dated 24 November). 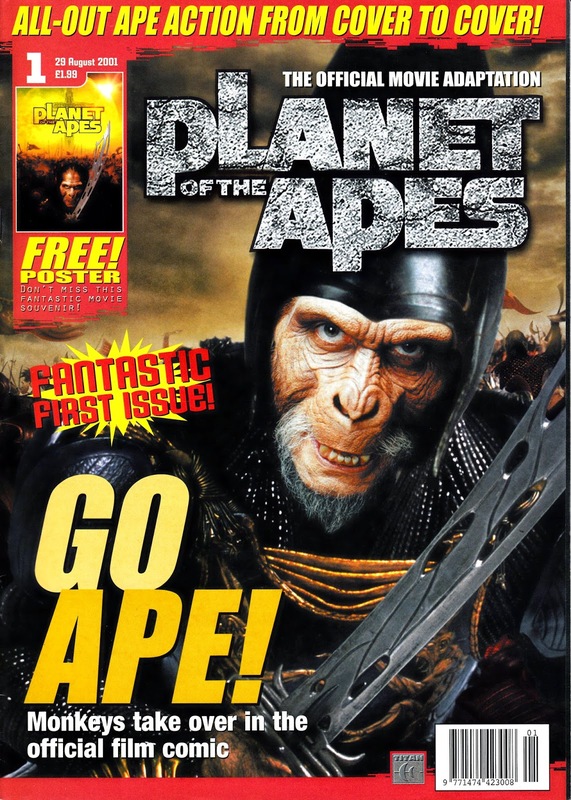 From 2001: The first issue of Titan Magazine's brief PLANET OF THE APES comic, based on the Tum Burton movie. 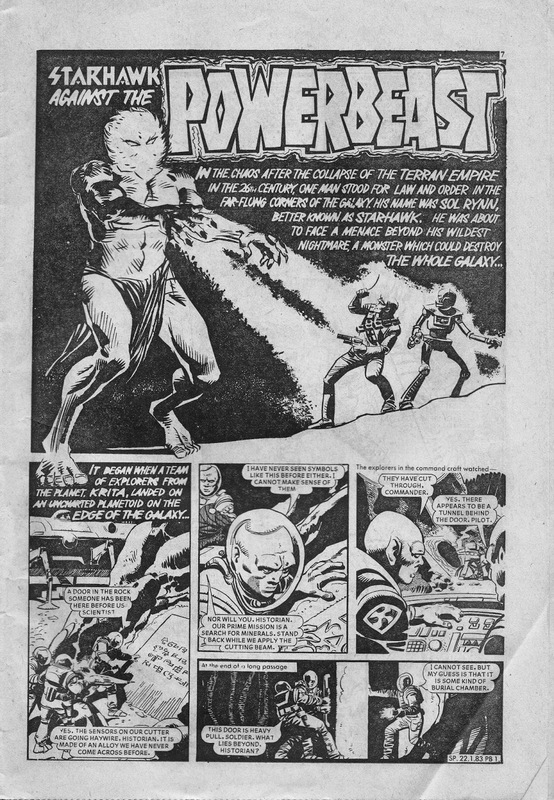 The series, edited by John Freeman, marked the first time that the POTA saga had enjoyed a regular slot in British comics since the strip was dropped from the pages of THE MIGHTY WORLD OF MARVEL in June 1977. 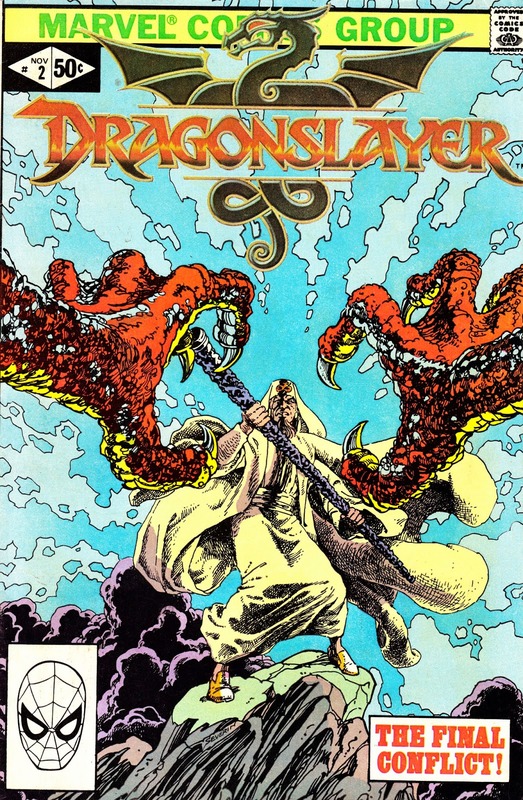 This series ran for only a few issues before being dropped. The film, although successful, failed to really spark the imagination and didn't encourage fans to rush out and grab the merchandise. 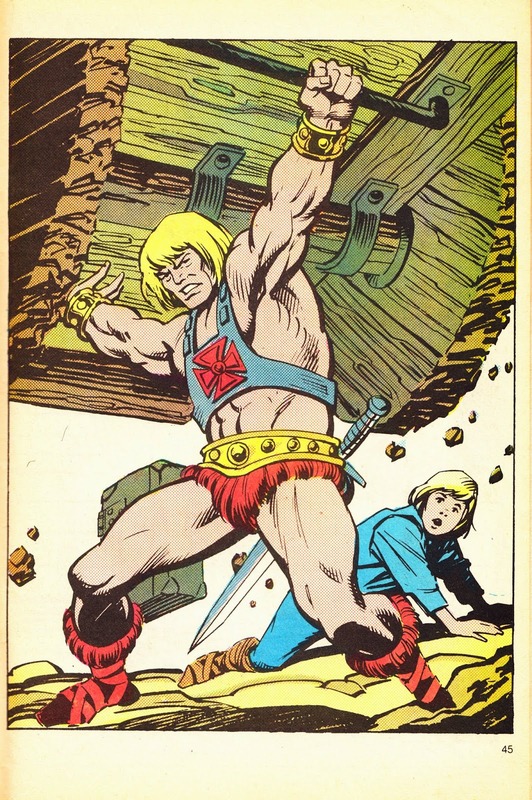 The bulk of each issue reprinted strips from the US Dark Horse comics. 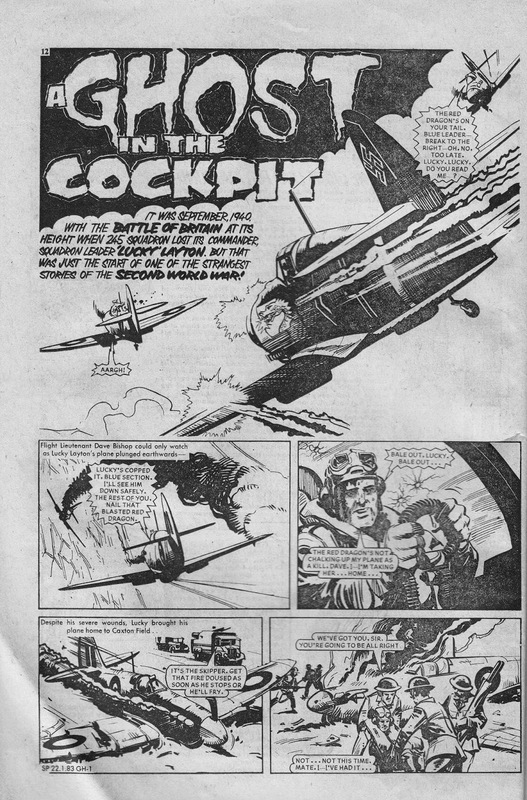 The terms of the license meant that neither the strips nor the accompanying text features could feature the original five films/ TV show/ animation/ comics saga. Across the Atlantic, the movie tie-in comics proved equally short-lived although the Apes saga has subsequently returned, from different publishers, several times. 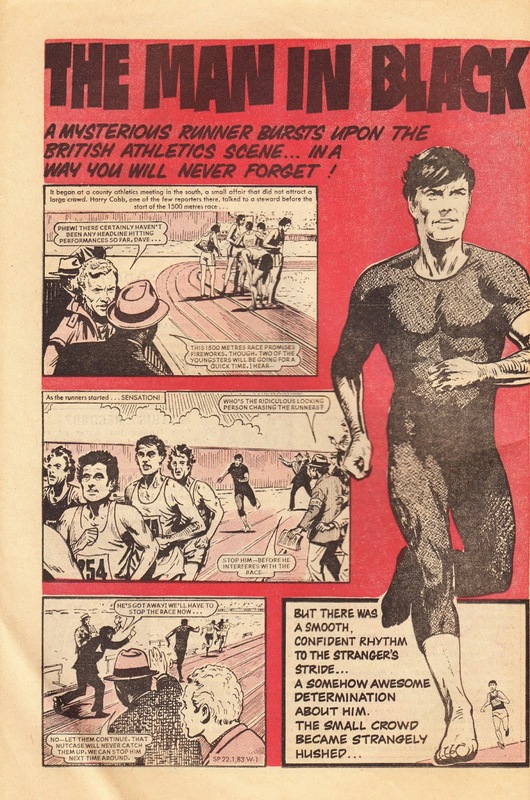 None of those strips have been reprinted in the UK. The recent (excellent) revival of the film franchise has seen Titan return to the saga, albeit not with comics. They've published the hardback book EVOLUTION OF THE PLANET OF THE APES and a traditional done-in-one officially licensed magazine based on last year's film. 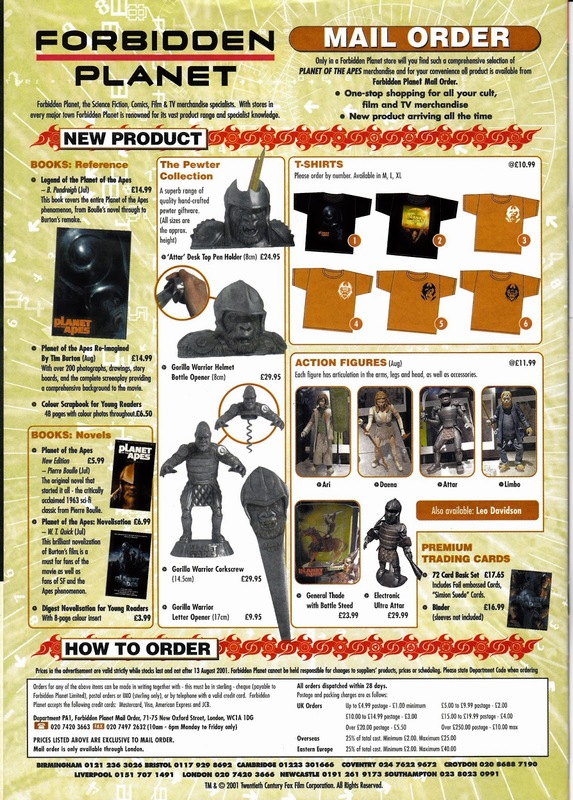 The back cover above shows some of the POTA merchandise that accompanied the film. 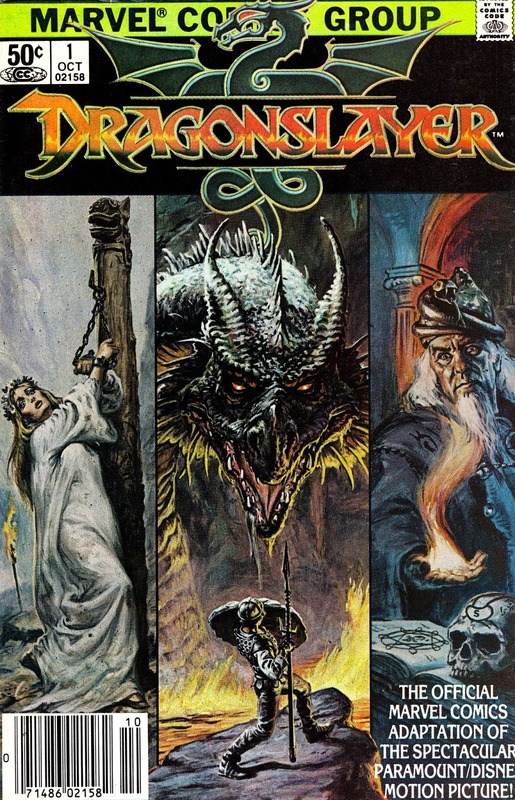 From 1981 & 1982: Four doses of DRAGONSLAYER, courtesy of Marvel. 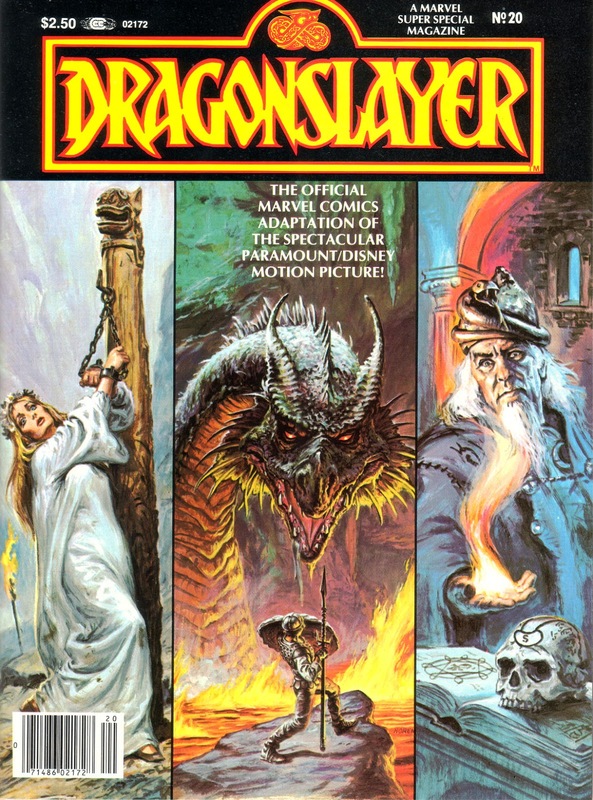 From the top: The two-issue movie adaptation, published by Marvel New York. 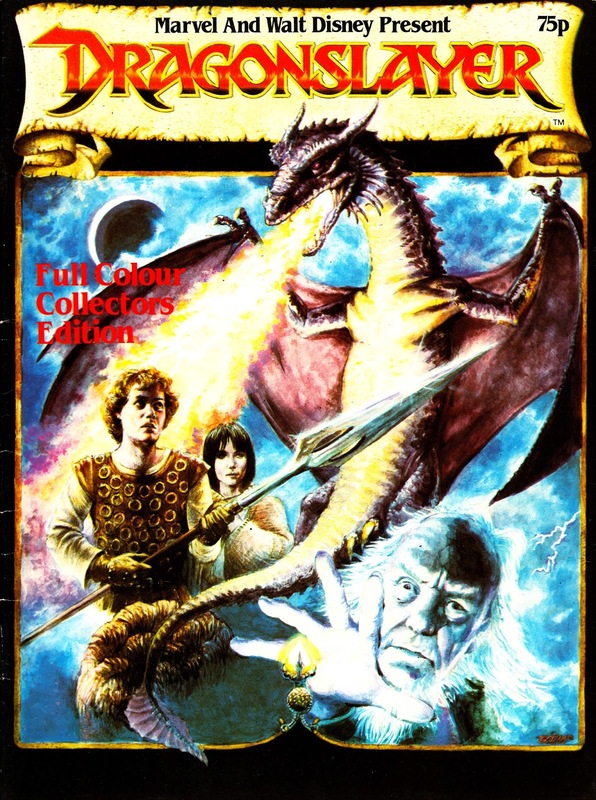 Third down: The UK one-shot edition of the adaptation. Marvel UK also published a poster magazine based on the Disney release. 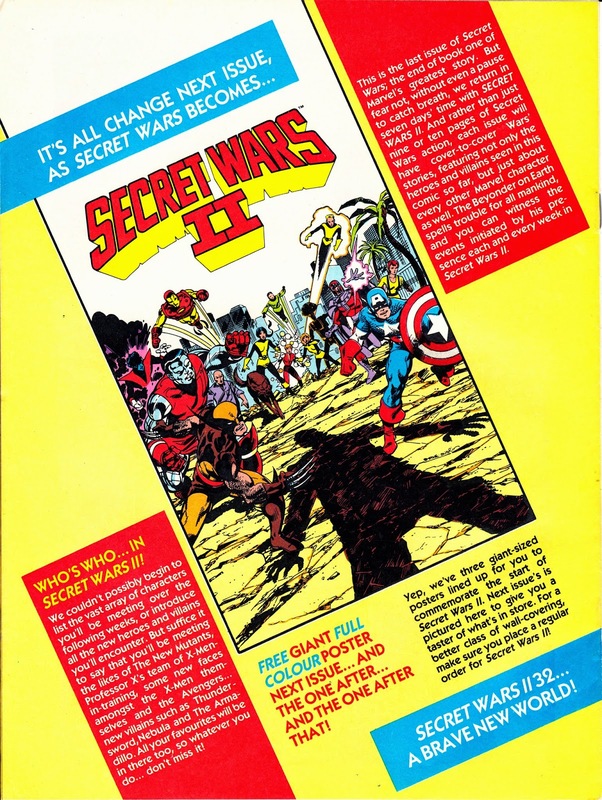 Number four: MARVEL SUPER SPECIAL issue 20 published the adaptation as a done-in-one magazine. From 1984: Look Kids! Free comics! Woo! 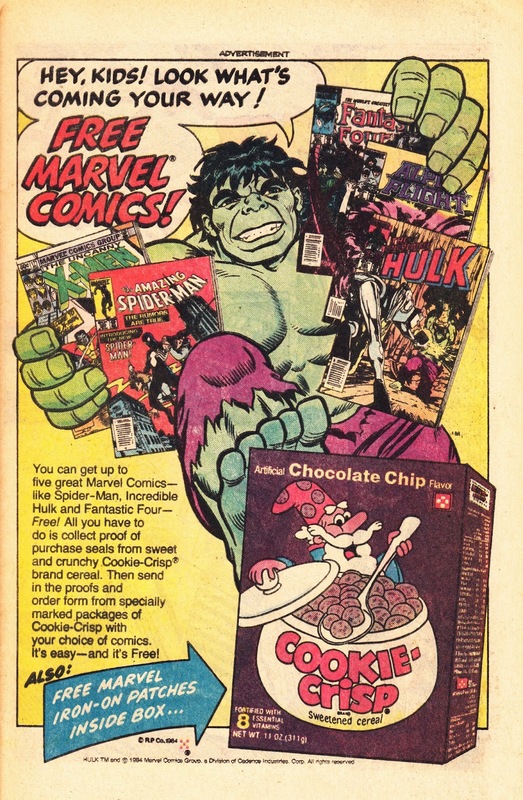 An advert from US Marvel comics encouraging glutenous kids to fill their faces with bad stuff in order to get their hands on some good stuff. 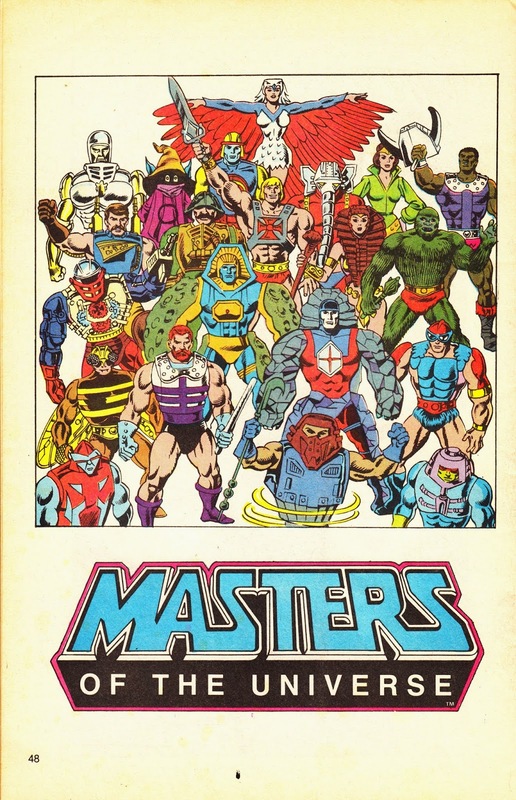 1987: MASTERS OF THE UNIVERSE Movie Adaptation. 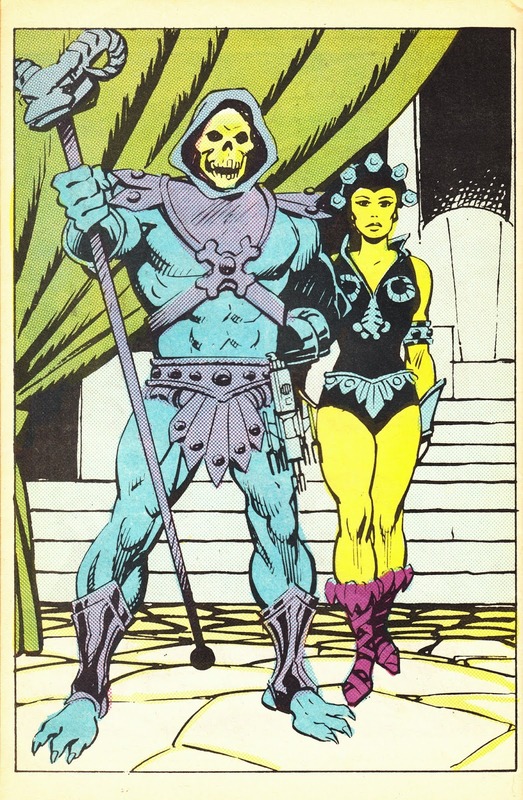 From 1987: These full-page panel blow-ups appeared in the Dutch edition of Marvel's adaptation of the Cannon MASTERS OF THE UNIVERSE live-action movie. Marvel took the odd (but presumably prudent) decision to use the model sheets for the animation and toys rather than try and mimic the style of the film itself. 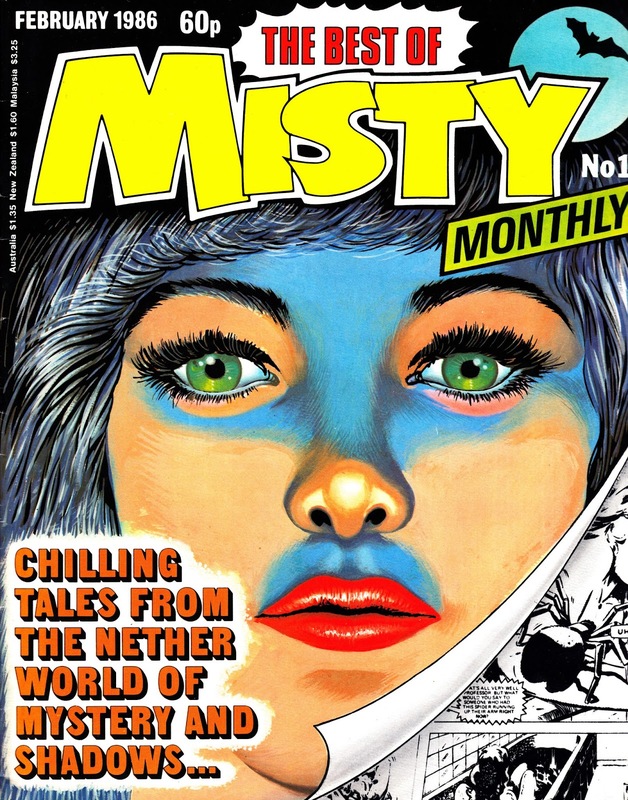 On sale this month in 1986: the first issue of THE BEST OF MISTY MONTHLY, another of IPC's archive-driven compilations. 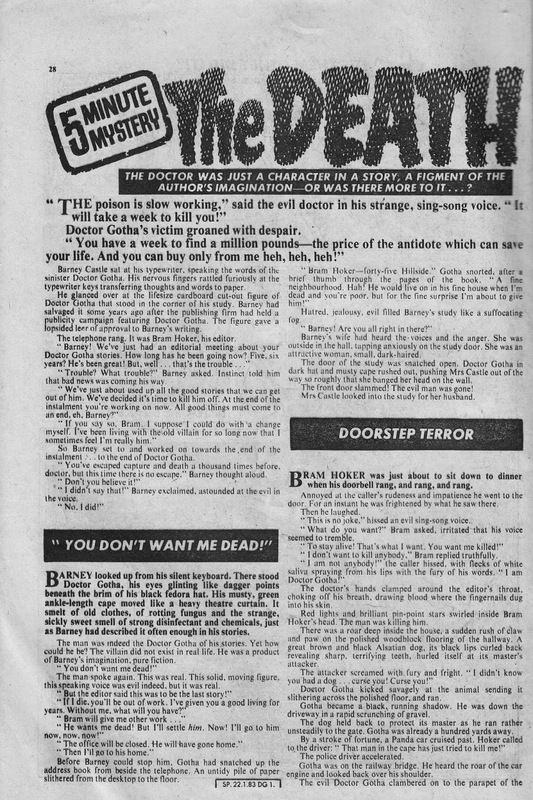 What made this one slightly different is that, unlike most of the others, it wasn't a brand extension of an existing weekly. It resurrected a title that had been cancelled almost exactly six years earlier. It ran for eight issues. 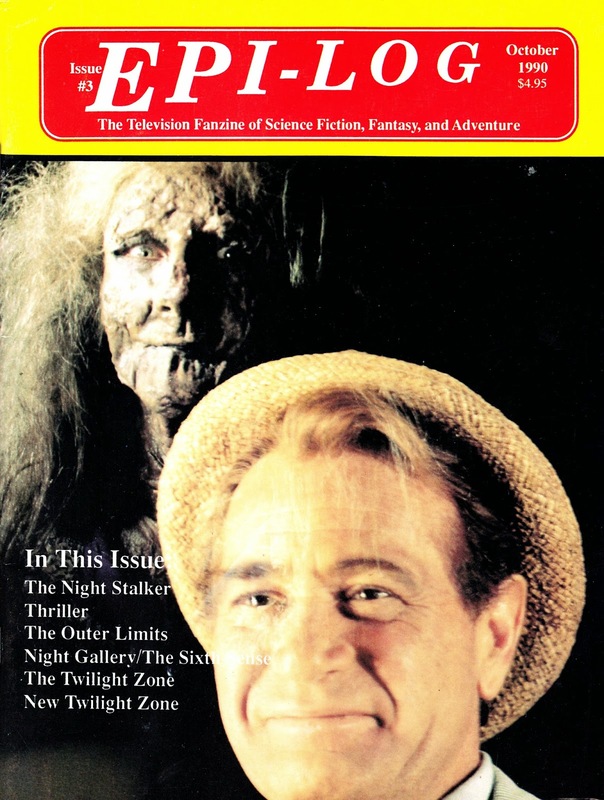 From 1990: EPI-LOG adopts a supernatural/ unexplained/ twist-in-the-tale theme for the third issue. 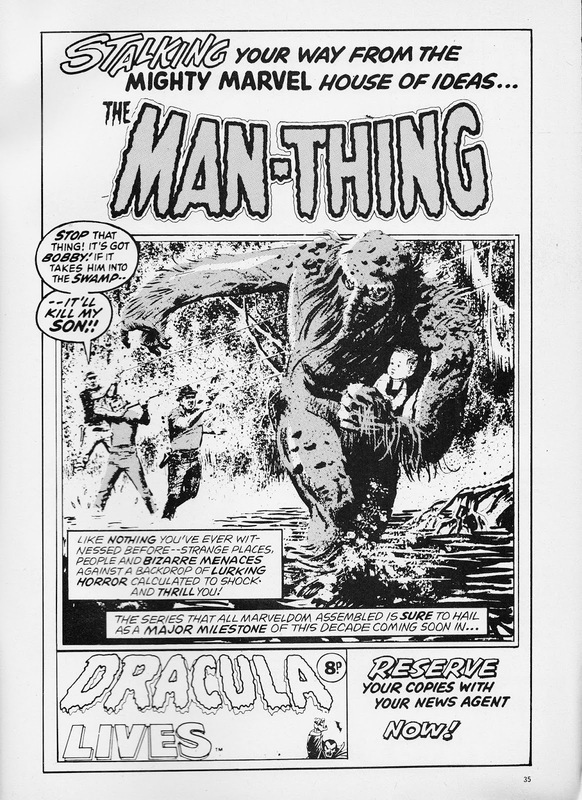 From 1975: A MARVEL UK House Ad teasing the British premiere of Man Thing (snigger) in the pages of DRACULA LIVES. I've not followed ol' MT's UK career particularly closely but I am aware that he popped-up (possibly in the same material again-and-again... as was the M-UK way) in DRACULA LIVES, PLANET OF THE APES (incorporating Dracula Lives), JOURNEY INTO NIGHTMARE (one of the published-under-license Marvel scare-fare monthlies from Portman), CHILLER POCKET BOOK and SAVAGE ACTION. Did I miss any? This appeared in December 1975. 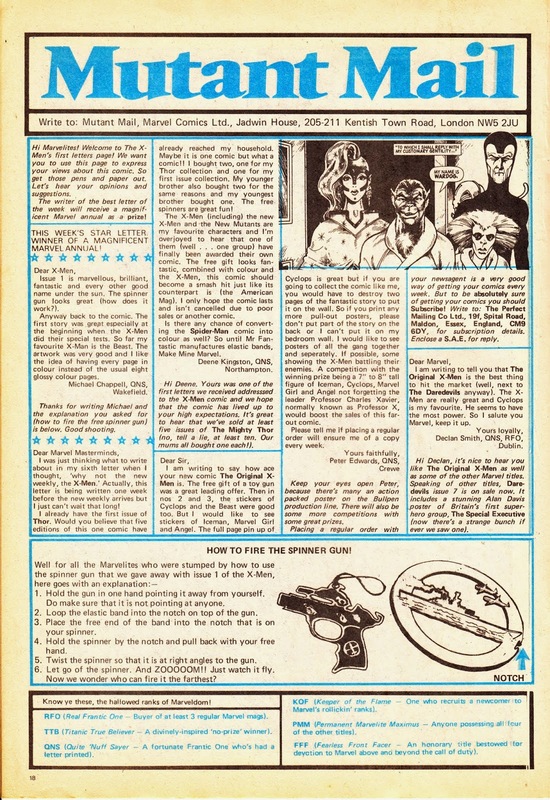 From 1983: I remember being utterly perplexed by the (presumably off-the-shelf... or out-of-a-cracker) Spinner Gun freebie cover-mounted to the first issue of MARVEL UK's new X-MEN weekly. It only consisted of three parts (the flat plastic gun, the spinner and the elastic band) but it confounded all attempts to make it work. How could something so small and simple be so perplexing? Clearly I wasn't alone as the British Bullpen saw fit to publish this handy guide in the seventh issue (cover-dated 15 June 1983). By which point... I'd lost the gift. Sigh. 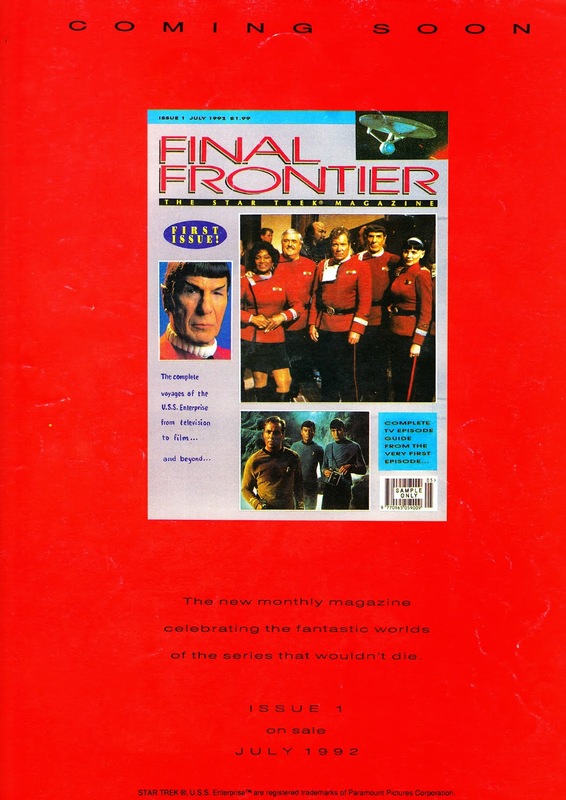 From 1992: A launch ad for the new British STAR TREK magazine FINAL FRONTIER. 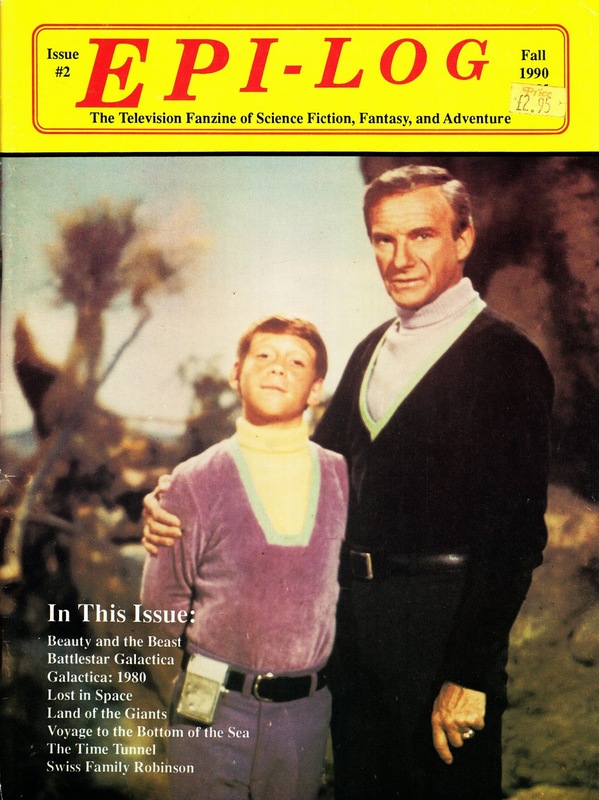 This mag was a weird one: I don't think it was ever authorized by Paramount but, initially, side-stepped the issue by licensing TREK related content from STARLOG MAGAZINE. That deal didn't last so FF continued with what looked like self-generated content... and a lot of stills as padding. 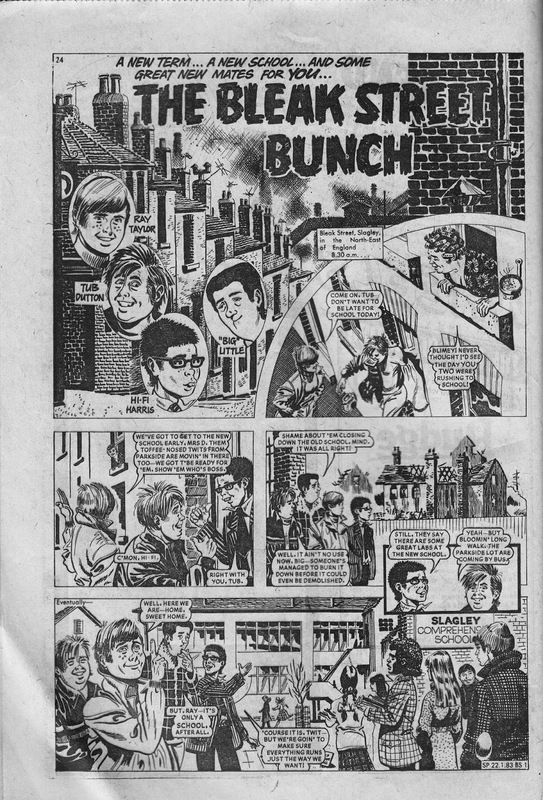 Some of the later issues are all but devoid of content and just a succession of adverts for what appears to have been the publisher's main cash-cow: mail order merchandise. 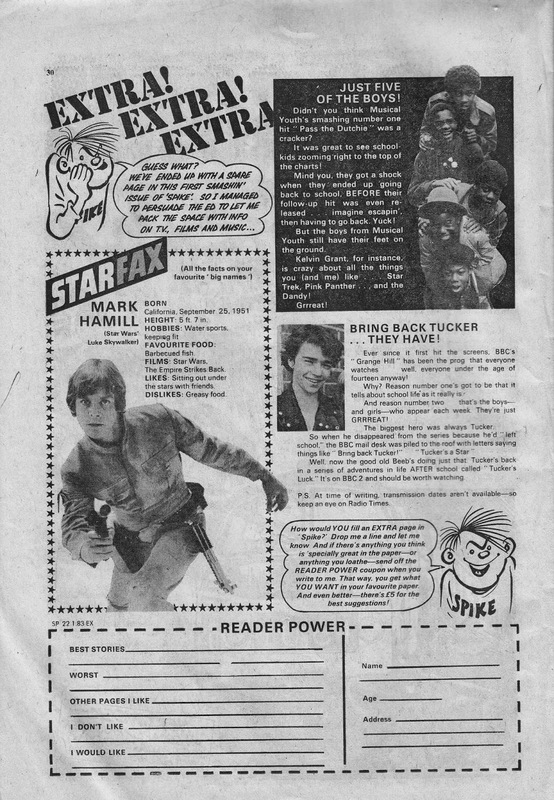 This ad appeared in the first issue of MOVIE MAGAZINE (covered here), another Starlog reprint vehicle from the same publisher. 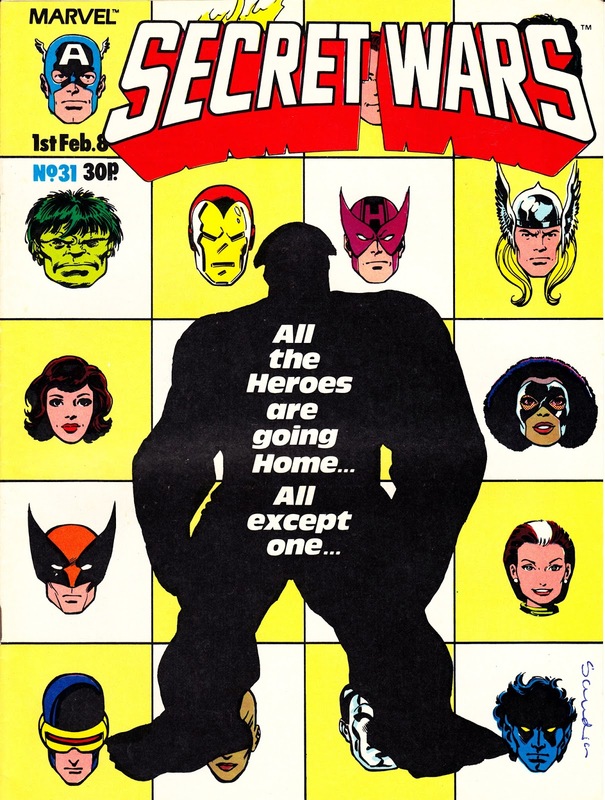 On sale this week in 1986: The last UK installment of the original (and about to be revived) SECRET WARS limited series. The British Bullpen cannily stretched the twelve American editions over thirty-one issues thanks to the time-tested method of chopping them into ever-smaller episodes. 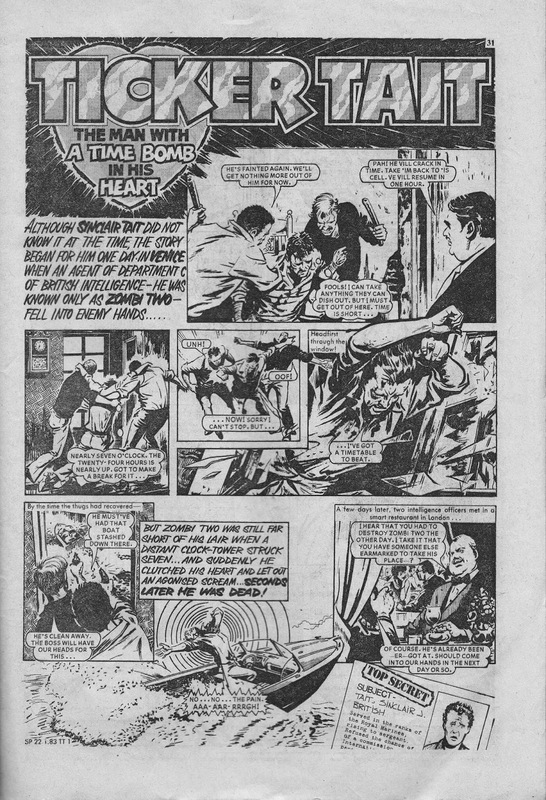 The rest of the issues were bulked out by Alpha Flight (a strip originally pencilled-in for the pages of CAPTAIN BRITAIN monthly... before it went all-British) and, latterly, the Ice Man limited series (previously announced for the pre-reboot SPIDER-MAN weekly) and the made-in-the-UK ZOIDS strip (destined for better things in the pages of the new SPIDER-MAN AND ZOIDS). 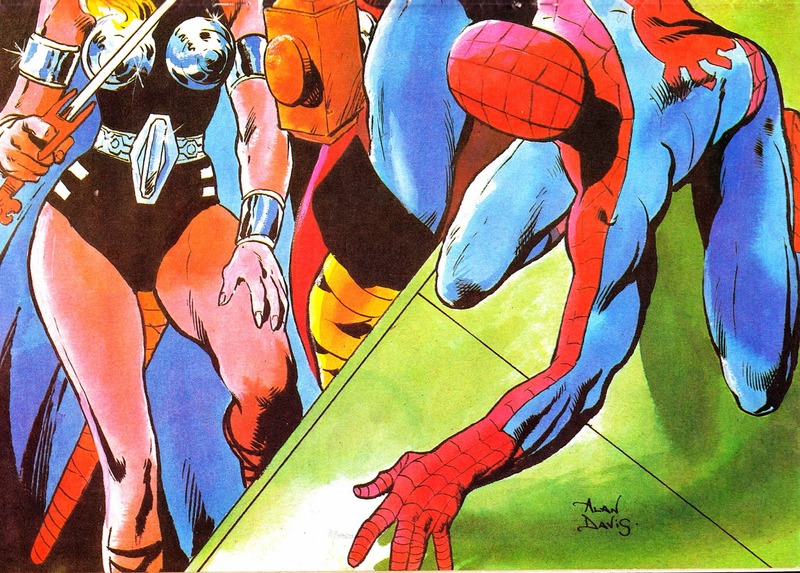 From 1982: Another Alan Davis colour poster from the centre pages of SPIDER-MAN issue 486 (30 June 1982). From April 1980: It's a little blurred (sorry!) 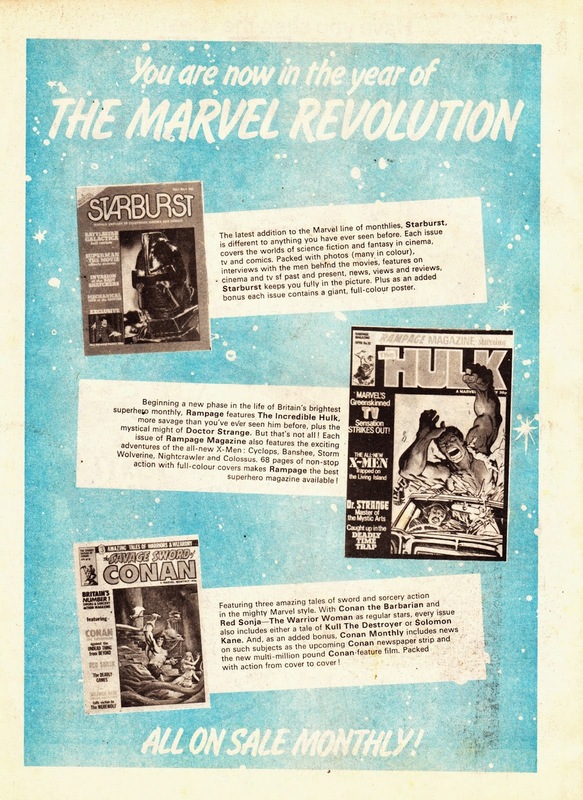 but the right-hand column of this cavalcade of MARVEL UK announcements includes the reassuring news that the long-delayed 23rd issue of FOOM, Marvel's in-house fanzine was imminant. 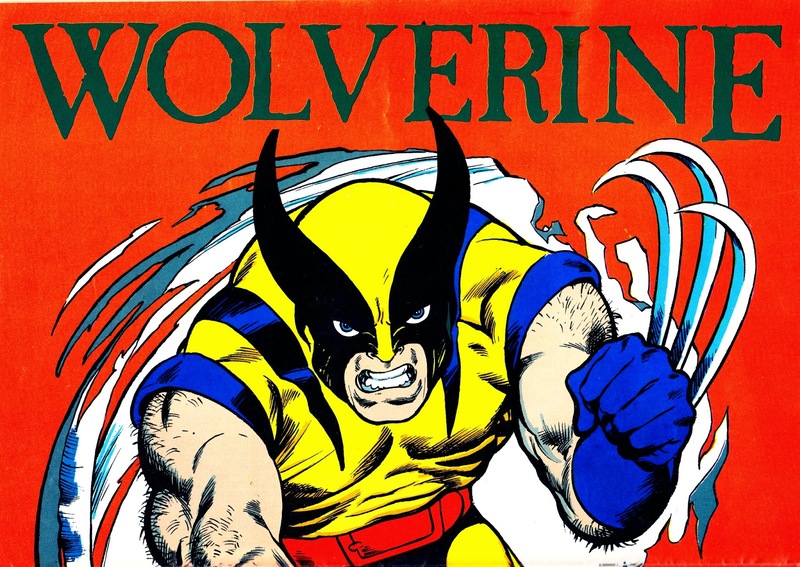 The US edition had been dropped after 22 issues... leaving the British Bullpen in a fix as Marvel had sold subscriptions in two-issue bundles... and the last duo sold were issues 22 and 23. Whoops. Ever since he'd taken the helm, Dez Skinn had promised that the Annex of Ideas would honor its commitment and publish a special UK edition. Skinn was on his way out the door (or already gone) by the time this appeared but his successor, Paul Neary (the first time around), was still talking about it. This appeared in SPIDER-MAN 370. 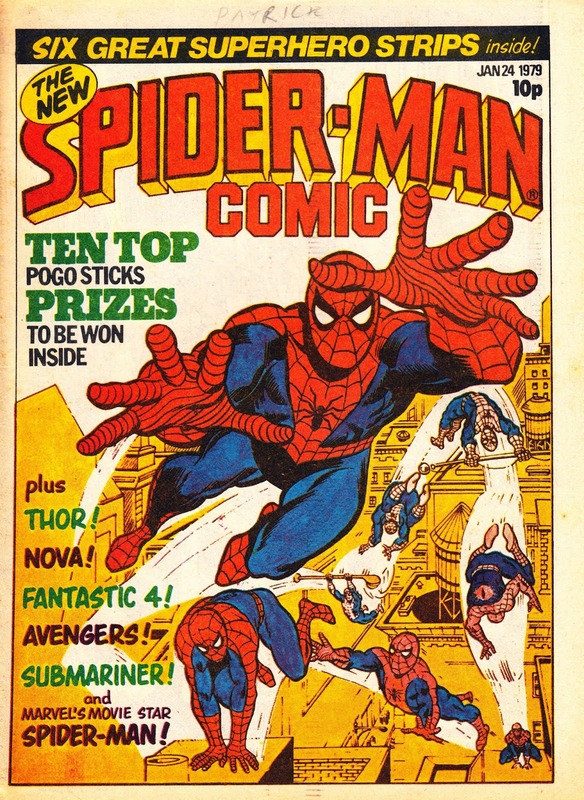 On sale this month in 1979: The first issue of the post-Marvel Revolution THE NEW SPIDER-MAN COMIC (aka Spider-man issue 311). 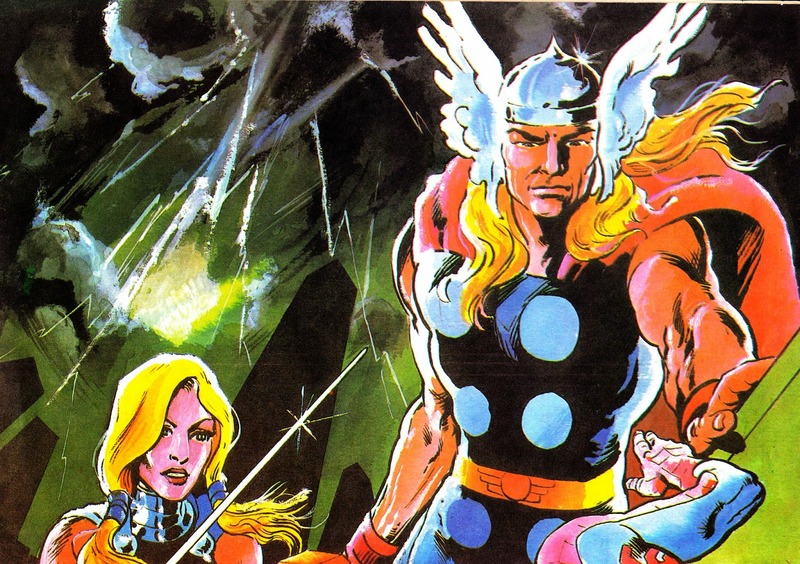 This was the most radical overhaul of the British Spider-man comic since its launch in 1973. The Titans-format era might have messed with the layout... but at least it kept the US pages intact (albeit pretty darn small). 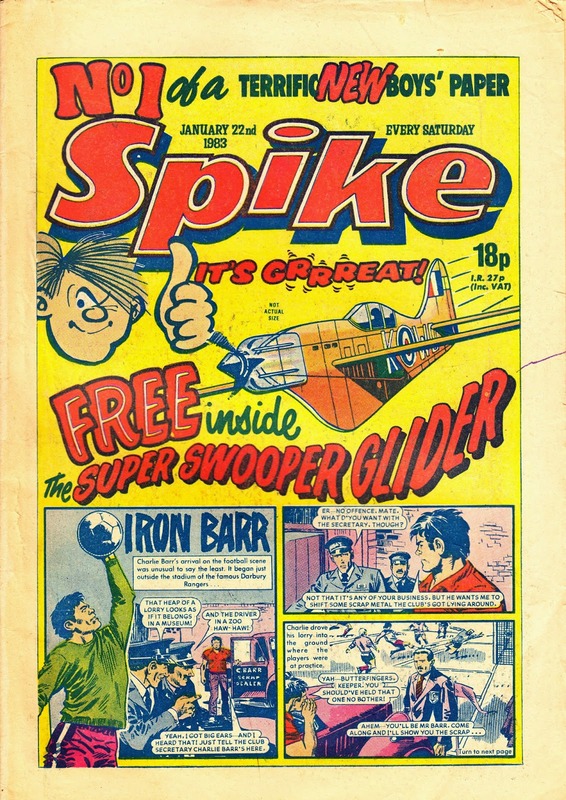 Dez Skinn was convinced that the British Marvel comics would be more successful if they looked more like every other British comic. So he dumped the glossy covers (which also, not coincidentally, saved a few bob as Dez didn't drop the price to compensate) and crammed as many strips as possible into each issue. He managed that by taking the scalpel and cow gum to the US art and relaying the pages to cram many more panels onto each page. Which allowed him to squeeze more, shorter, strips into every issue. In the new post-revolution world, most of the strips ran no more than three pages (and sometimes, thanks to half-page house ads, less) per week. It's a pity he didn't devote the same level of effort to making the eye-straining Pocket Books (launched the following year) more readable by relaying the pages so that they had LESS panels-per-page. 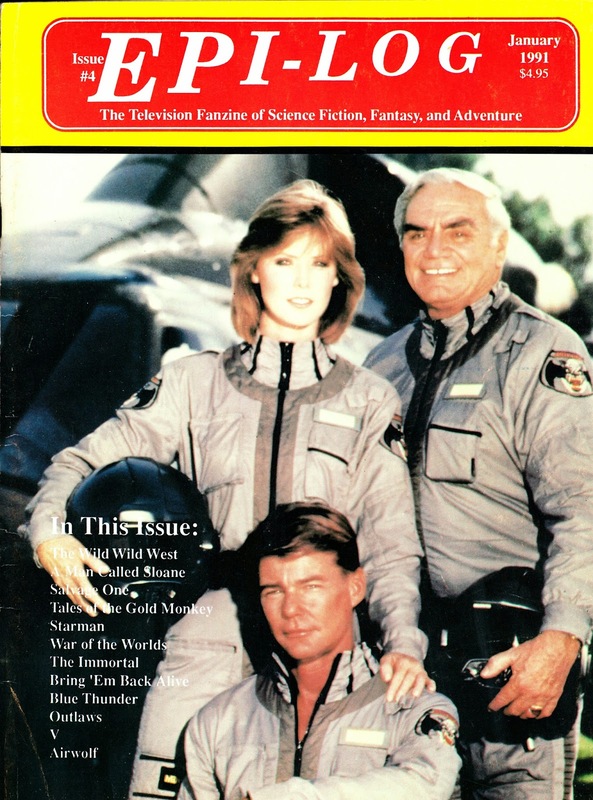 From 1990: the second issue of EPI-LOG, the magazine of episode guides. 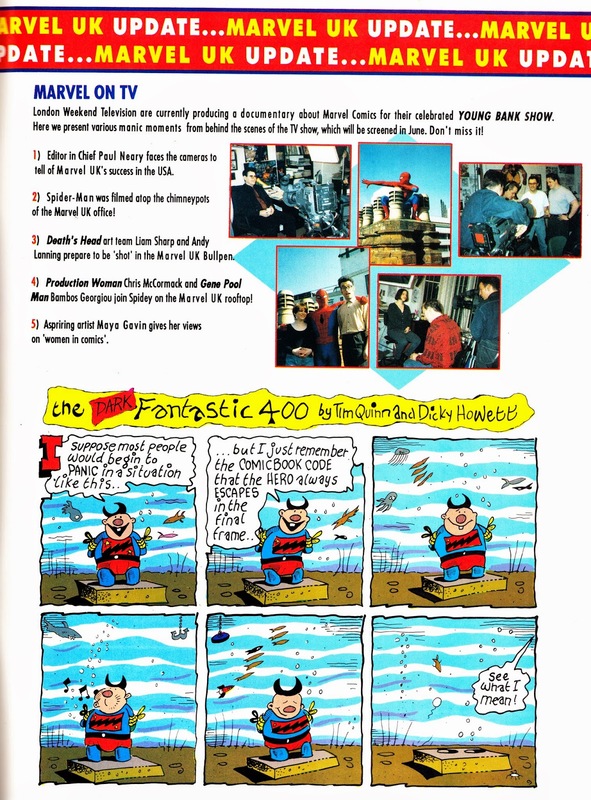 From 1993: some behind-the-scenes stills from Tim Quinn's (who also happened to be both the Editor of the very comic these appeared in... as well as the author of the gag strip below) OPENING SHOT documentary devoted to MARVEL UK. The documentary captured the British Bullpen at the height of the Genesis Explosion, a time when it genuinely looked like it might be a contender... even if some of the titles being churned out seemed a little - ahem - on the rushed side. Unfortunately.... it all collapsed when the bottom dropped out of the market at the end of the year. 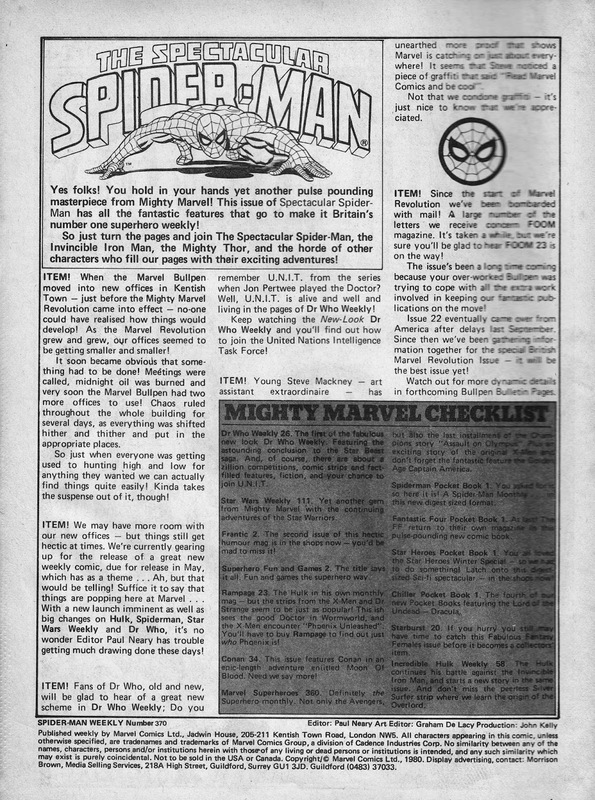 This is from THE EXPLOITS OF SPIDER-MAN issue 9, cover-dated 2 June 1993. 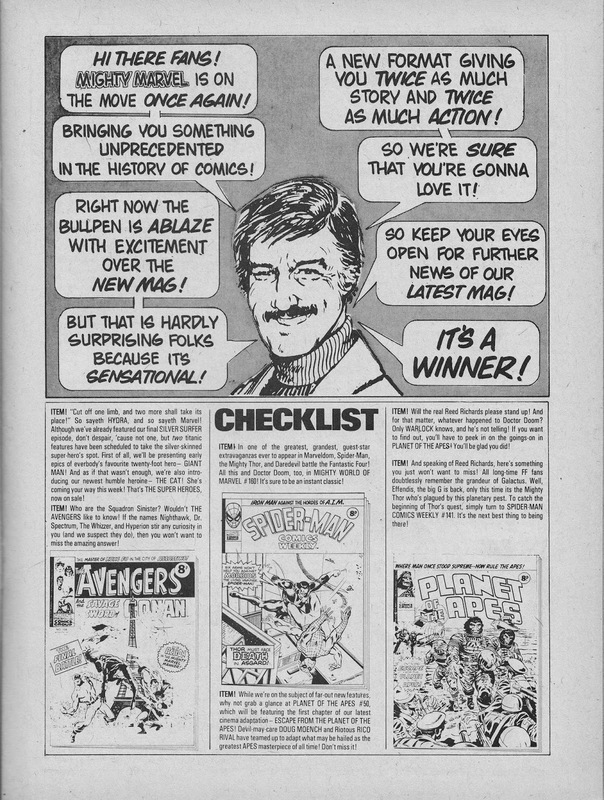 From 1975: Smooth, sophisticated, Seventies super-salesman Stan Lee cranks-up the MARVEL UK hype machine to announce the impending launch of a new weekly! 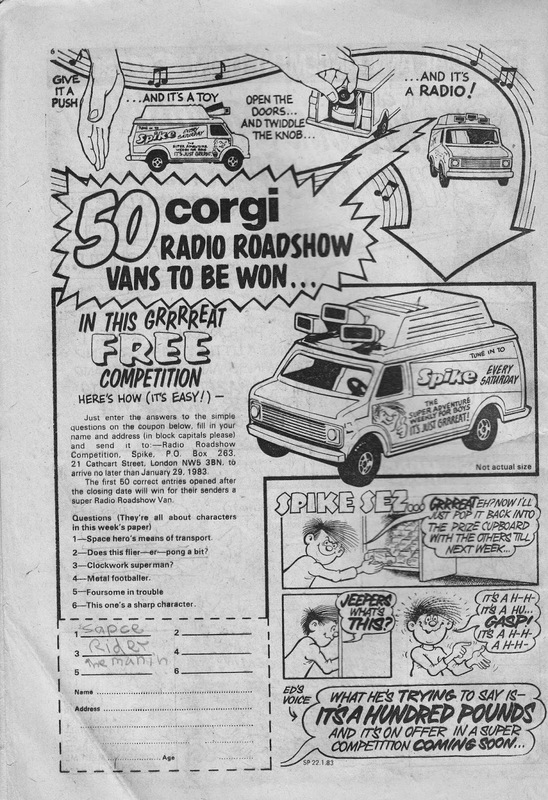 Such announcements (along with anything that hinted at a new look, format change, relaunch or free gift) were also most welcome and, in those pre-internet days, usually the first hint that something new was about to land on the shelves of the local newsagent. 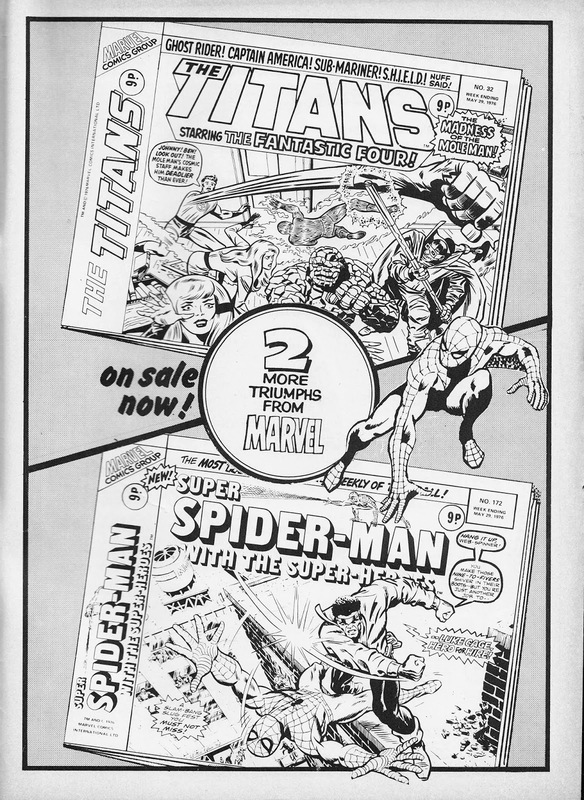 Stan was, of course, hawking the new TITANS weekly, which used the new fangled landscape technology to cram two US pages side-by-side on one A4 page. The checklist below includes Marvel's adaptation of ESCAPE FROM THE PLANET OF THE APES, which includes a whole pre-title sequence which isn't in the film version (and may... or may not... have been filmed). From 1976: Two landscape luvlies from the British Bullpen. This MARVEL UK House Ad appeared in late May. 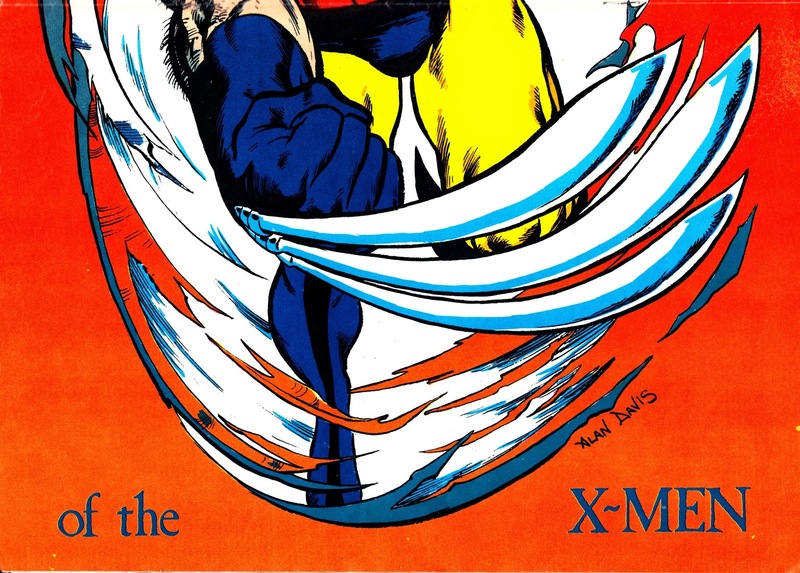 From 1982: Alan Davis renders Wolverine for the centre-page spread in CAPTAIN AMERICA weekly issue 54 (3 March 1982). 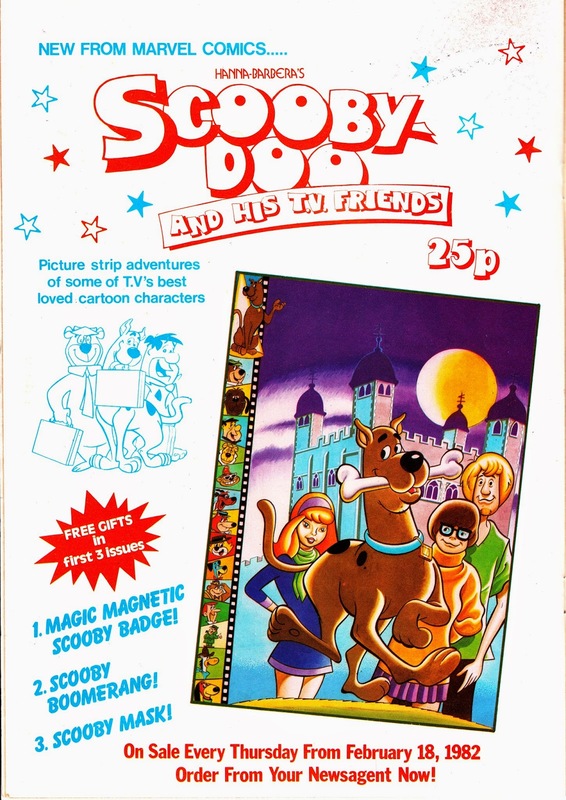 From March 1982: The launch Ad for MARVEL UK's new SCOOBY-DOO AND HIS TV FRIENDS weekly. 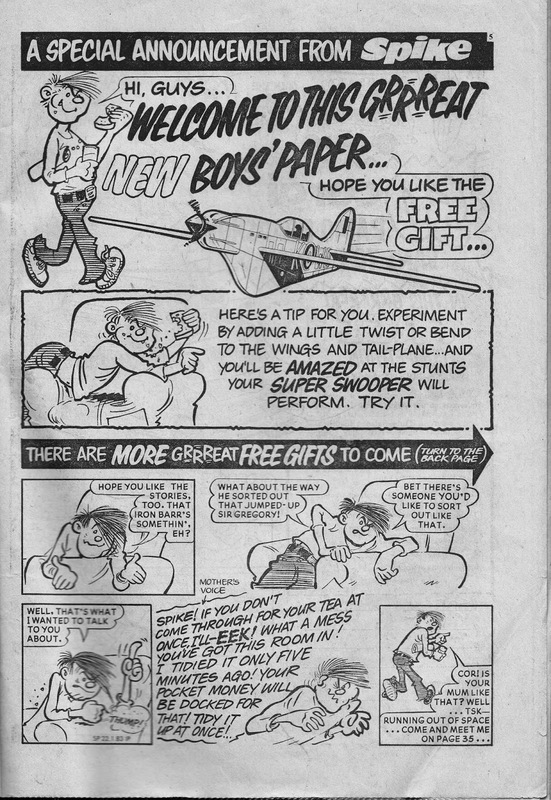 The Hanna-Barbera tie-in was something of a landmark for the Annex of Ideas as it pointed to a future based on licensed properties and titles pitched at a younger audience. I've previously posted most of the covers... starting here. 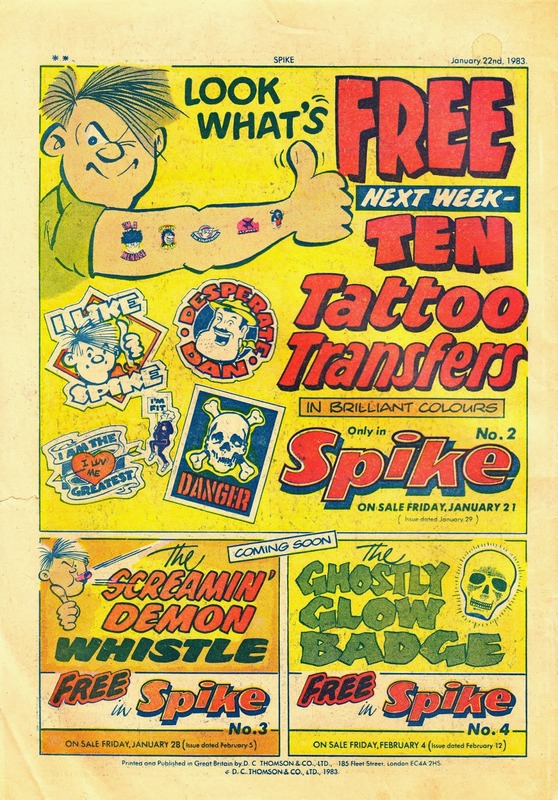 On sale this month in 1983: the first issue of D.C Thomson's boys anthology weekly SPIKE. This passed me by entirely at the time, it didn't really stand a chance of catching my attention up against Marvel UK and IPC's books. I was never much of a DC Thomson fan (with the exception of a few issues of WARLORD and NUTTY) so there was no loyalty... and no appeal. 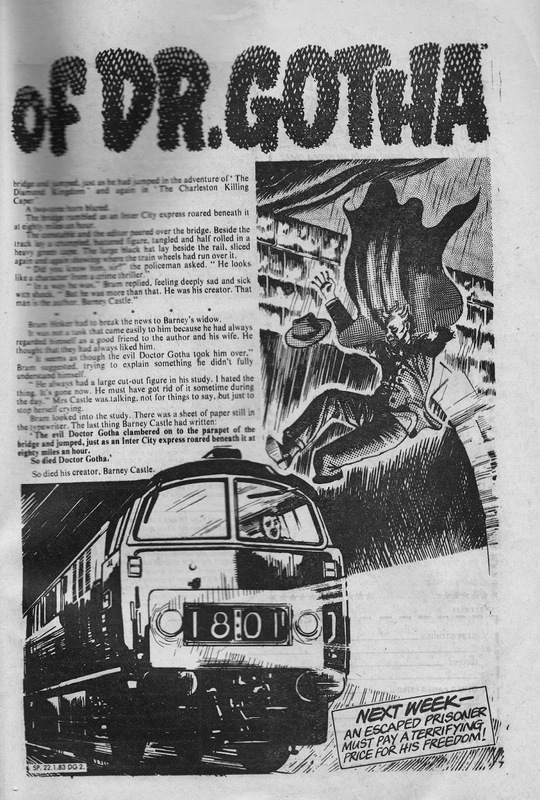 It ran for 67 issues, between 22 January 1983 (today!) and 28 April 1984. 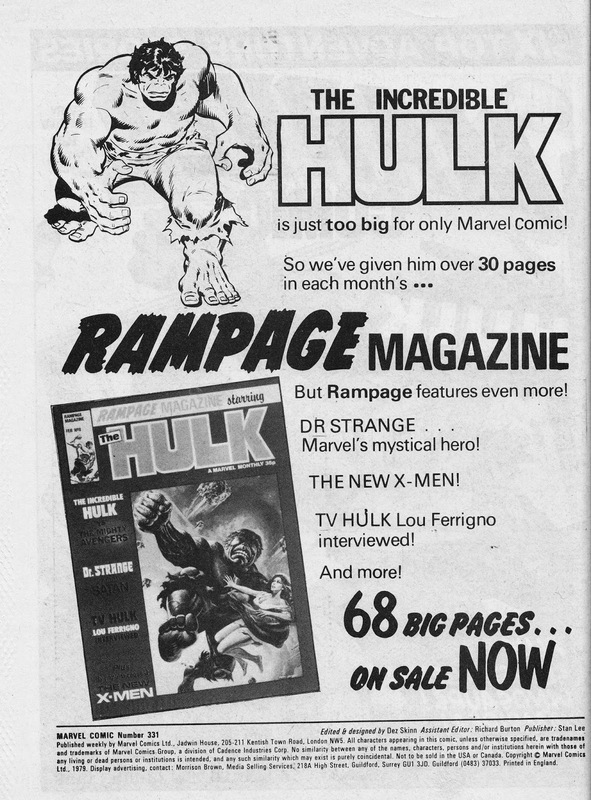 From 1979: a full-page MARVEL UK House Ad plugging the wares of RAMPAGE MONTHLY, the UK's second regular outlet for Hulk stories (alongside the green-skinned weekly). From May 1979: A MARVEL UK House Ad for three of their blockbuster monthlies...STARBURST, RAMPAGE and THE SAVAGE SWORD OF CONAN. 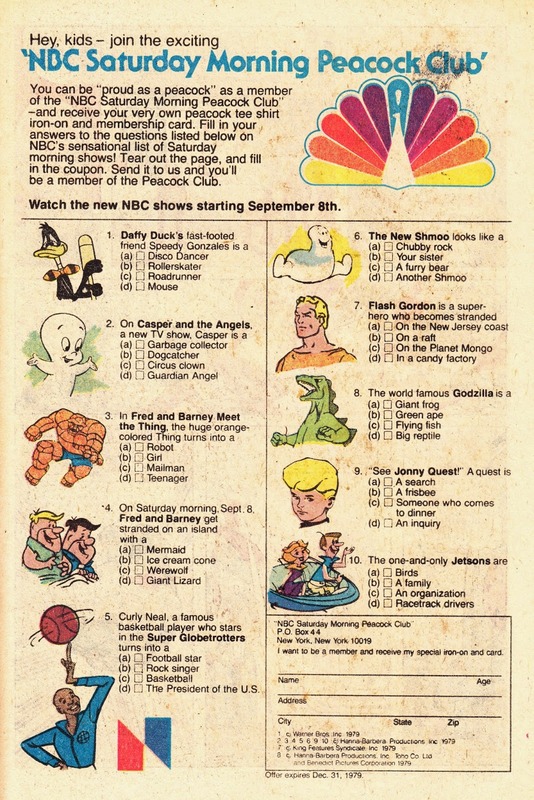 From 1979: Something to keep you from doing the work you should be doing... a NBC ad for their Fall 1979 Saturday Morning Kid-Vid line-up, tarted-up as a quiz and a chance to join the Saturday Morning Peacock Club. 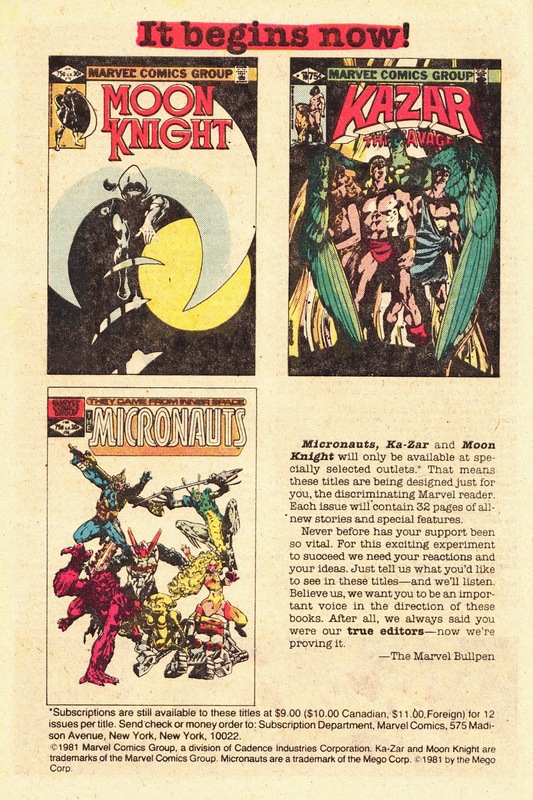 From 1982: Marvel announces that three of its - ahem - lesser selling books (THE MICRONAUTS, KA-ZAR and MOON KNIGHT) were coming off the news stands... but continuing via the new-fangled Direct Sales system... better known as... your local comic book store. This was a big move at the time... traditional retailers had always been the conduit for reaching would-be readers and, despite the inherent problems (crappy distribution, massive quantities of unsolds, dodgy business practices), was still the dominant outlet. 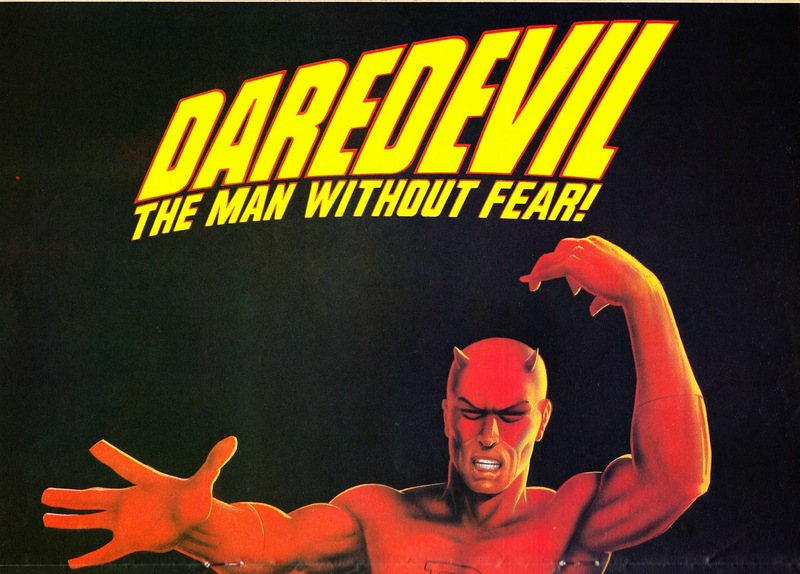 Comic Book stores were a relatively new phenomenon which would reach a smaller... but more committed readership. Compare that to today... when I was in Washington DC, I found only one bookstore that carried any US comics. None of the myriad of convenience stores (all owned by one chain which appeared to have stitched-up the city centre) stocked any at all. And I didn't see a single news stand or independent grocery store stocking them. I realized quite how blessed we still are in the UK with WH SMITH (despite their poor customer service and ever-shrinking magazine sections) and independent newsagents still carrying a good range of magazines and comics. I really hope we don't go the way of the USA. 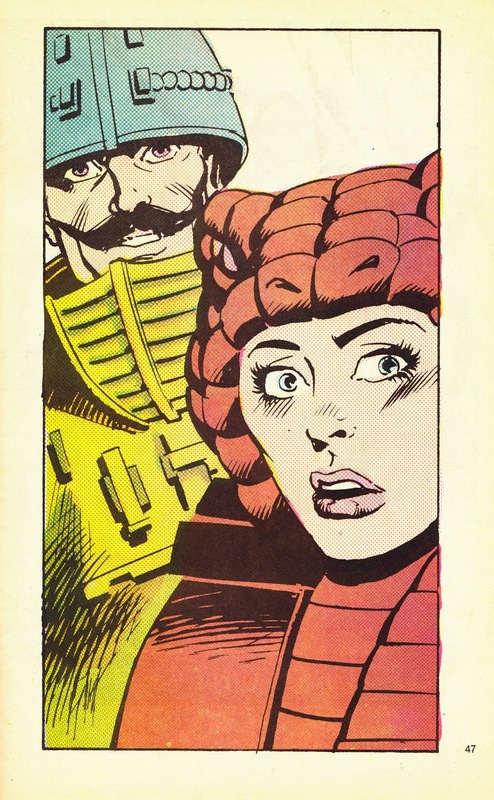 This page appeared in THE MICRONAUTS issue 39, cover-dated March 1982. 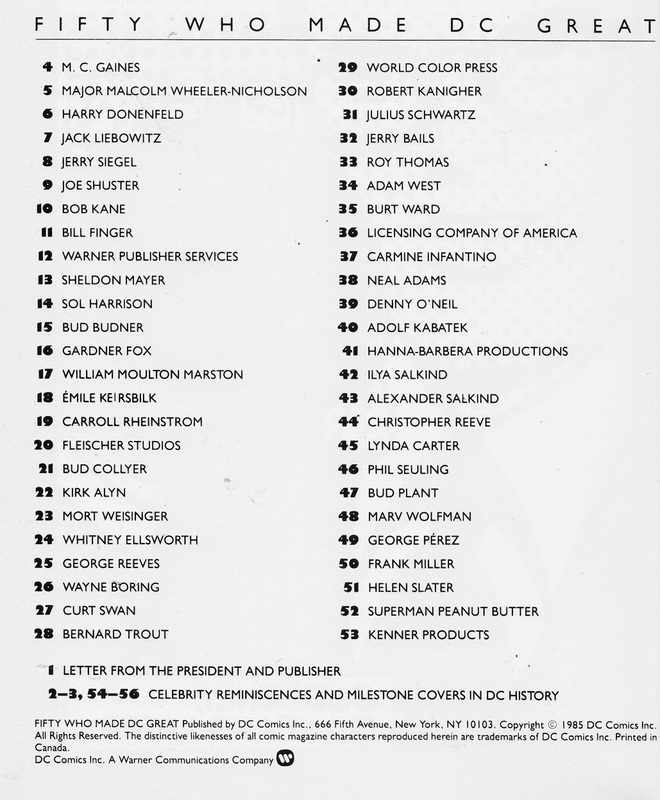 From 1985: FIFTY WHO MADE DC GREAT. 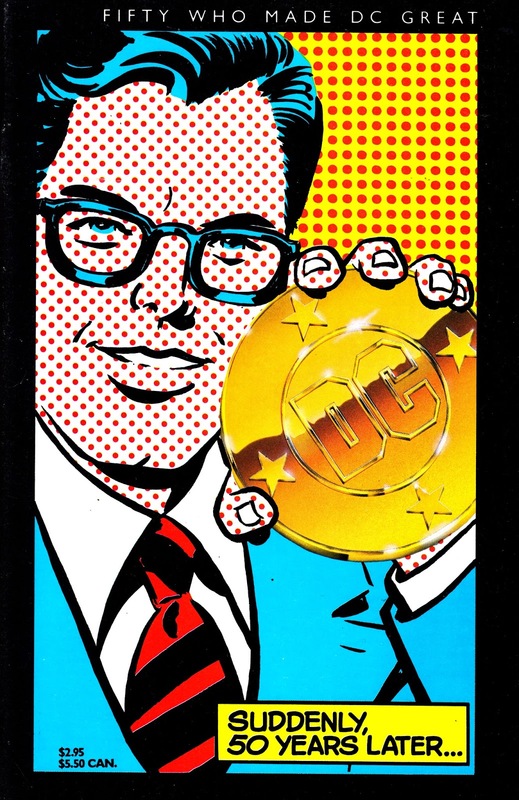 This DC Comics one-shot only occasionally surfaces in the back issue boxes... a one-shot comicbook-scaled one-shot celebrating fifty past and present names from DC's history to mark their fiftieth year in print. I'm a sucker for this sort of thing so I found it a very enjoyable read. Some of the names might seem a little weird (SUPERGIRL's Helen Slater for one) but it captures a moment in history and, no-doubt, reflects some internal politics over which of their current collaborators (hello Kenner) should receive some ego-boosting recognition.